If you have symptoms that need relief, such as back pain, hip pain, sciatic pain, sports injuries, etc. I established my Osteopathy practice in August 1984 and I’m still here, and still loving it, 28 years later. - Repetitive strain injuries / "computer shoulder"
The methods used are mainly very gentle manual manipulation, usually painless, and my ethic is to always try to resolve patients’ conditions as quickly as possible. In those situations where I do not feel that my approach is appropriate for someone’s particular condition I will immediately refer that patient for another opinion. Osteopaths have a holistic approach to wellbeing, we believe that your whole body will work best if your body has good structural balance. 1. An osteopath is a professional osteopathy therapist who, to qualify for their undergraduate degree, must study for between 4 - 5 years. This is similar to a medical degree, with more emphasis placed on anatomy & musculoskeletal medicine, as well as over 1,000 hours of training in osteopathic techniques. 2. 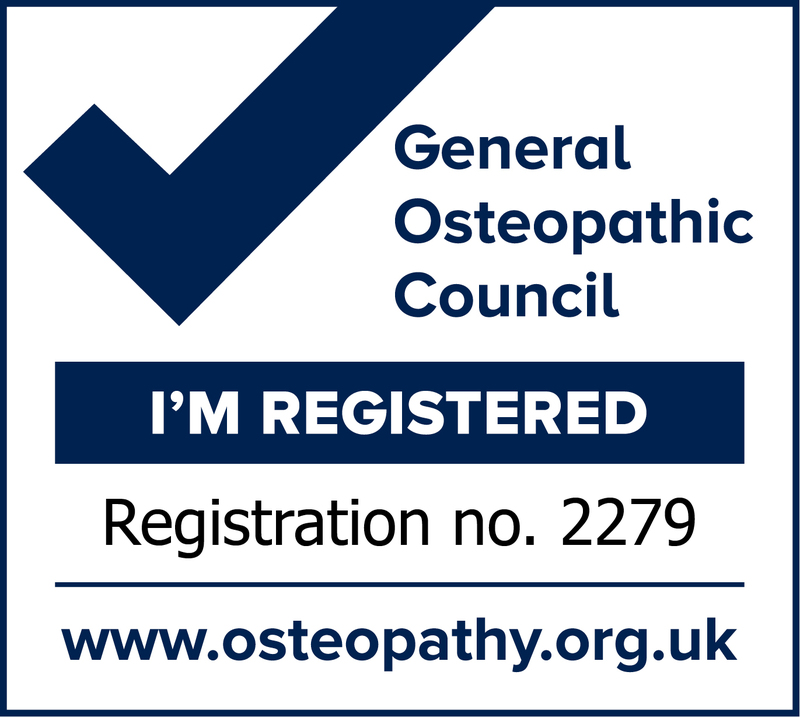 By law all professional osteopaths must register with the General Osteopathic Council (GOsC). The British Medical Association's guidance for GPs states that doctors can safely refer patients to osteopaths. 3. An osteopath treats the parts of the body that cause symptoms and so can help with many conditions (although most people think of us as simply "back specialists", as back pain is what many osteopaths treat much of the time). 4. An osteopath is gentle and so can help people of any age from the elderly to new born babies, pregnant women and sports people. 5. An osteopath uses a wide range of gentle manipulations, light massage and joint mobilisation, tailored to the individual and their situation. To help me with my diagnosis I will take your full medical history, look at your posture and how you move your body, and I may also assess what happens when I move it for you to see what hurts, where and when. Using touch I may find areas of sensitivity or tightness, this helps me to identify, for example, what may leading to your back pain, elbow pain, knee pain, hip pain or shoulder pain. When I have done that then I can diagnose your condition. Treatment is tailored to each patient's situation - depending on your age, fitness & diagnosis. It can include different types of soft tissue massage & joint articualtion, these release tension, stretch muscles, help relieve pain, and mobilise your joints. Common Symptoms I can help you with - Back Pain, Sciatic Pain, etc. Back pain, as anyone who has experienced it knows, is awful and impossible to ignore. It can also cause symptoms in other areas of the body, such as sciatic pain or headaches, clicking jaw, and dizziness. 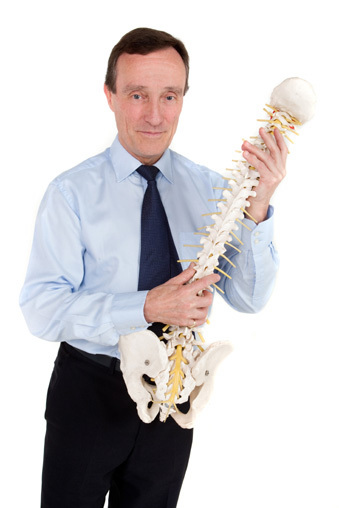 Around 30,000 people consult an osteopath every working day regardsing back pain. As an osteopath I can diagnose your specific issue and use a range of gentle manipulations to resolve the issue and relieve the pain. Lower back pain and pelvic pain are common in pregnancy but many common treatments such as medication, physiotherapy and exercise, are not always suitable for women during pregnancy. Osteopathy is a safe and effective way of dealing with back pain during pregnancy. Hip pain can be extremely worrying and often debilitating, as any restriction in movement has a huge impact on quality of life. Arthritis, excessive weight, Trochanteric bursitis, Tendonitis, Lower Back Problems (can refer pain to the hip area), Snapping hip syndrome, and Hip fractures can cause your hip pain but there are many more anatomical problems which could cause hip pain. If you are unsure of the cause then consulting an osteopath is always a good place to start. We have the expert understanding of how the body functions and will assess you as a whole person to advise and treat you based on your lifestyle, age and symptoms. If I feel that my approach is appropriate for your particular condition I will refer you for another opinion. Sciatic pain can be helped by working into the tight muscles of the low and mid back and the hip, altering the movement patterns of the spine to take the pressure off the base of the spine. Incorrect equipment, playing too hard, not warming up or down, these can all cause sports injuries. Reduced joint flexibility flexibility or pain are the big indicators of a problem. An osteopath can improve overall sports performance and treat any injuries, by restoring structural balance, increasing joint mobility and reducing soft tissue restriction - keeping you supple and improving muscle tone will also reduce risk of injury in the future. Quality of life is especially important at an older age keeping you independant and mobile. An osteopath can greatly help reduce stiffness, improve mobility, circulation and immune function so you can enjoy an active life.